Join us once more beneath the echoing skies of Unknown Pleasures as Getintothis’ Mike Stanton nudges another selection of hidden gems in your general direction. Three shoegazey/dream-pop/electronic-ambient pearlers for you this week. It’s all about huge melodies and wide expansive constructions as we delve into the sun-soaked pool of ethereal ambience and layers of glistening guitars. Their album Salt Rush is out now. Red Mecca, named after the Cabaret Voltaire album (presumably) are a downtempo electronic act from Sweden. Världen Genom Lånade Ögon is all darkwave atmosphere and plaintive vocals. Translated as The World Through Borrowed Eyes, it is a haunting refrain with Frida Madeleine’s just-above-a-whisper voice gently punctuating slow-swirl electronics. Shadowy new wave synth-lines and barely-there Kate Bush-esque whispers allow spacey and expansive production to fill the air like leaves scattered in an autumnal swirl. It is a heady experience. Their latest album Electricity is out now. 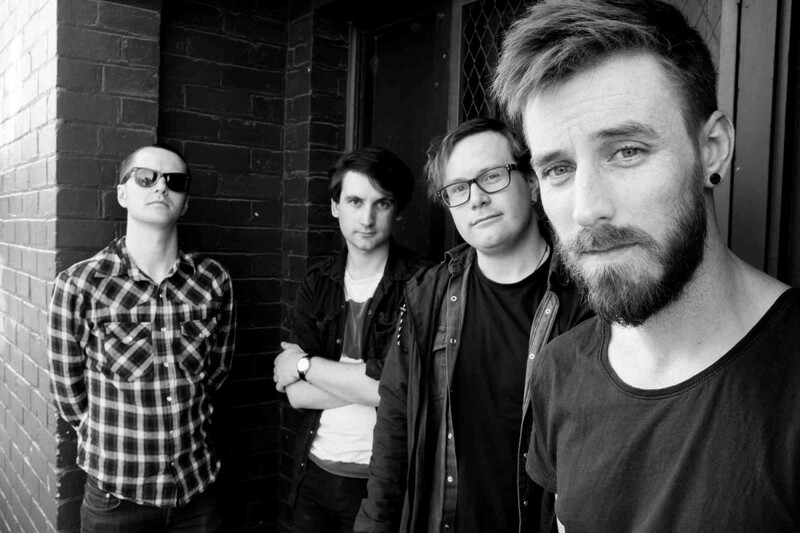 Melbourne-based Bloodhounds On My Trail have been at the forefront of a simmering shoegaze scene that has re-emerged in Australia over the past few years. Johnny Green (guitar, vocals), Chris Donaldson (guitar), Nik Donaldson (drums) and Ché Walden (bass) evoke the 80’s indie sound of Ride, The Jesus & Mary Chain, My Bloody Valentine and Chapterhouse. Over The Wall is rich and dream-soaked, slowly building to an intense and multi-layered climax. Sparkling melodies and gleaming, bold production act as a counterpoint to the dark lyrical content and angst-ridden introspection. The guitars don’t have immediate bite but there are loads of them everywhere, often collapsing into reverberating noise and glittery ash-falls of noise. Walden’s bass drives the track towards its wash-swept crescendo and we are left with resonating feedback that fades to black. Over The Wall is out September 16.